This quote speaks to my heart so I want to share it. 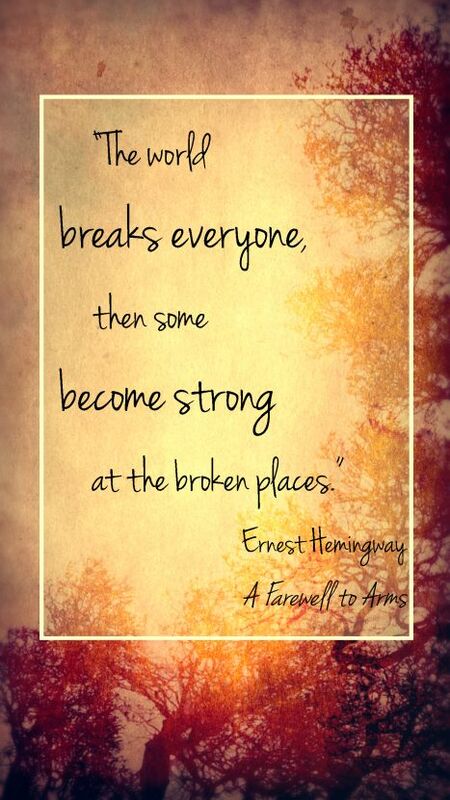 In life, we deal with situations that can “break” us, so to speak. Illness, an end to a friendship, divorce, and loss of employment, only name a few things we may go through. We don’t have to give up. We can choose to fight. We can examine our situations, and figure out what we could have done different. What went wrong, and allow these experiences to change us for the better. Unfortunately, some people become bitter when things like this happen to them. They don’t use obstacles to enhance their lives. They may hide behind an addiction, or hold onto negative feelings because the pain is unbearable. But when we are honest with ourselves, deal with the hurt, and look boldly at situations. We can learn from our experiences, carry on, and keep our smiles. Don’t let one bad experience dim all the other good areas in your life! If you are experiencing unrest in your soul, there is a reason. You are being pushed forward. You can choose to grow! Don’t get stuck with feelings of negativity because it’s easy, or because you fear having faith in the unknown. God has more for you then you realize! Great quote and very true words!